Typically, annual reports are tedious and packed full of dense information about the company and its activities over the past year. 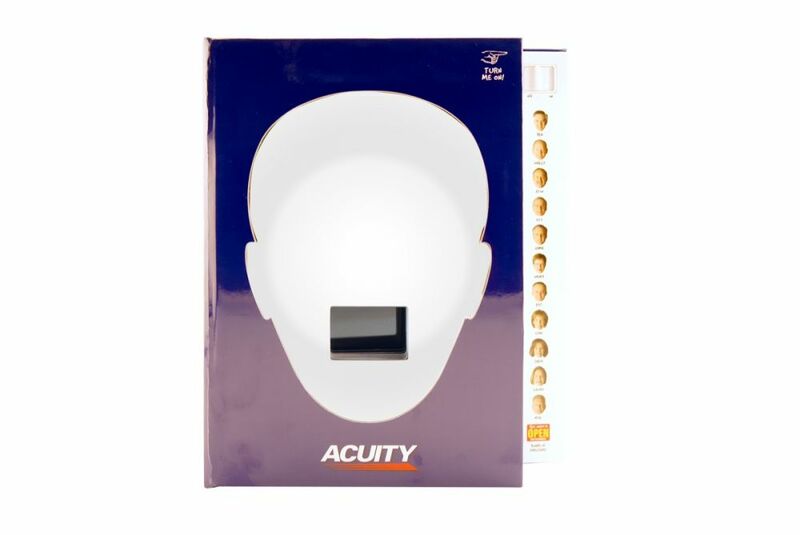 In 2012, Acuity wanted to do something a bit more creative to impress shareholders and reflect both the goals and personality of the brand. They approached Americhip with a bizarre, yet charming idea that would mix video, images, illustrations, and the necessary copy about the company. Down the side of the large, hardcover book, were twelve faces. 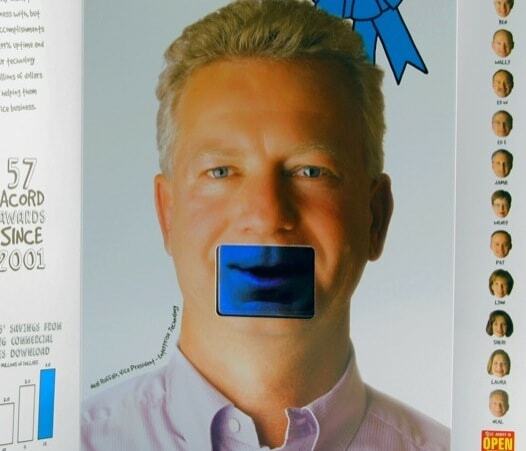 These faces acted as push buttons that would trigger the 4.3" video screen to play one of the twelve videos. 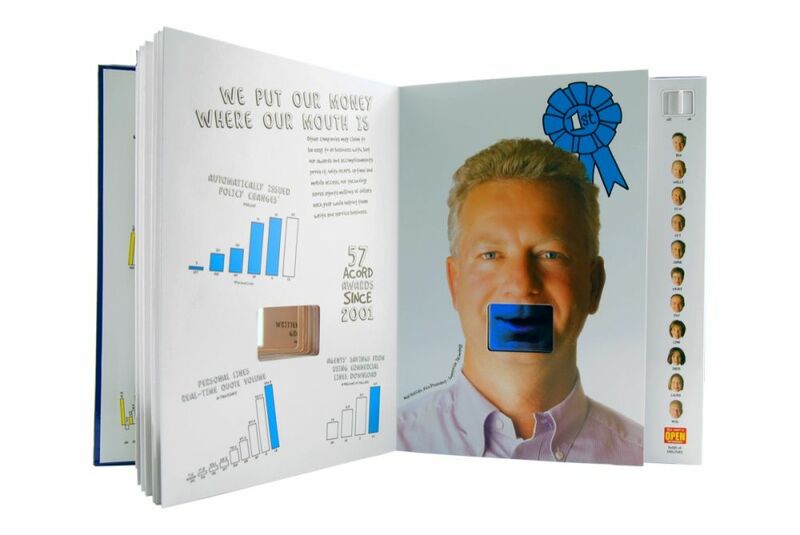 Each page of the book had a face of a manager with a strategically placed cutout that allowed the 4.3" video screen to be viewed. 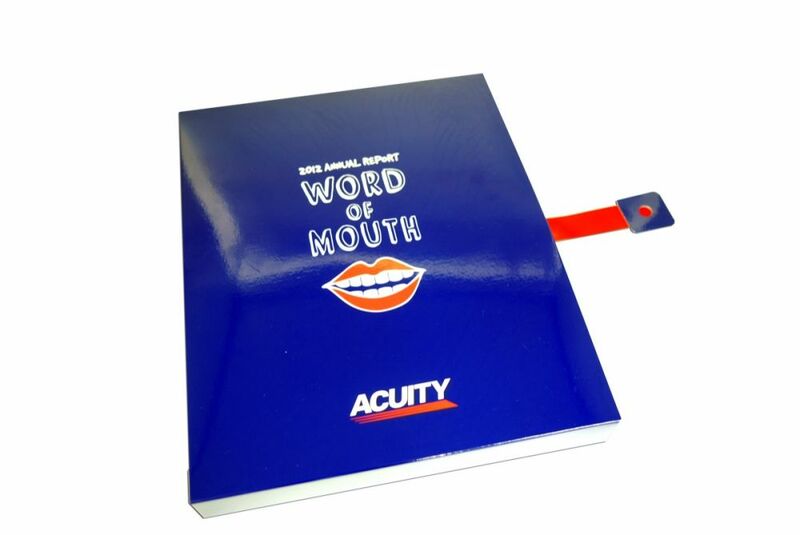 As recipients flipped through the pages, they could press a button on the side and watch the mouth of Acuity management come to life and speak about the company's recent achievements. The delightful effect was far more engaging and the content was more easily digested than a typical annual report. Acuity was thrilled with the final product and the piece remains one of the more fun executions that Americhip has had the pleasure to work on.